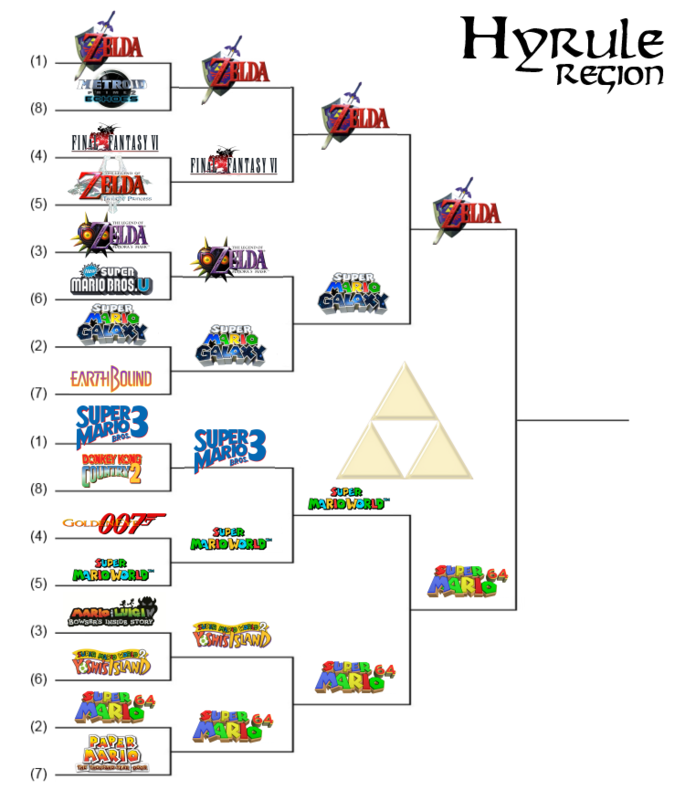 Game 1: The Legend of Zelda: Ocarina of Time continued its dominant run through the Hyrule region, leaving Super Mario Galaxy in its wake and giving the franchise its second representative in the Elite Eight. Are more to come? Game 2: 3D edged out 2D as Super Mario 64 took down its predecessor in a tightly contested match up. Experts point to the contributions of Charles Martinet as the deciding factor down the stretch. Hmm, disappointed SMW lost but at least this'll make it an interesting battle. Two N64 classics head to head. I'm not shocked by the results...just going to have a very hard time picking between the two.